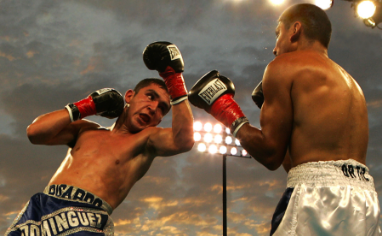 Boxing matches and tournaments need to be promoted to bring more peoples and increase ticket sales to make the event a great success. 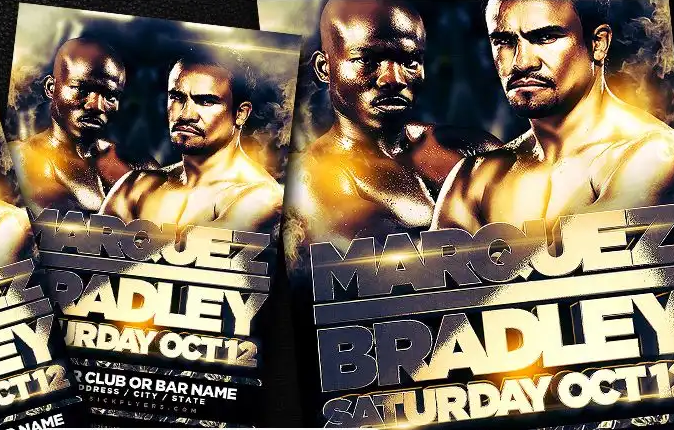 A flyer is one of the best promotional media that is often used to promote a boxing events. 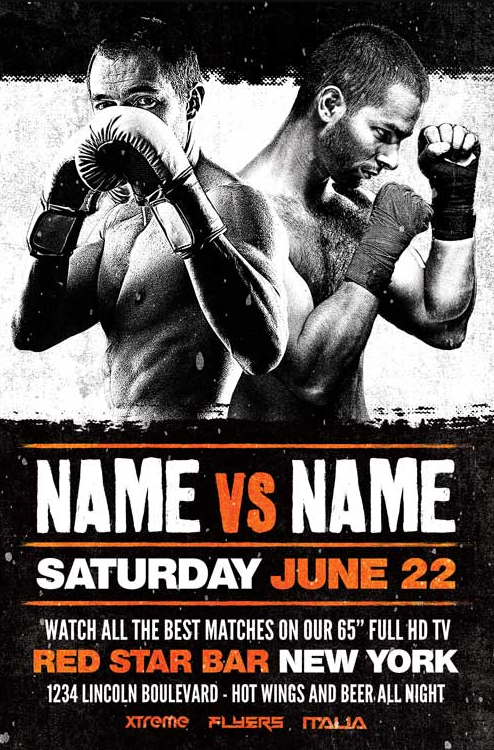 You can design a sport flyer for boxing match or tournament using premade templates, you can download them for free from internet. 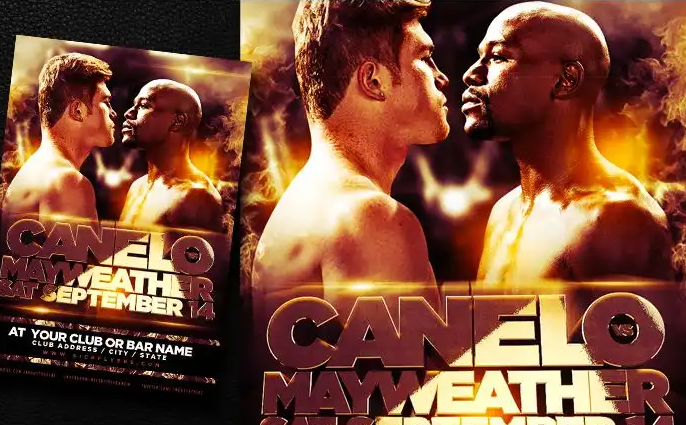 This template is customizable and allow you to put the boxer photos, add match details and change the background as you like. 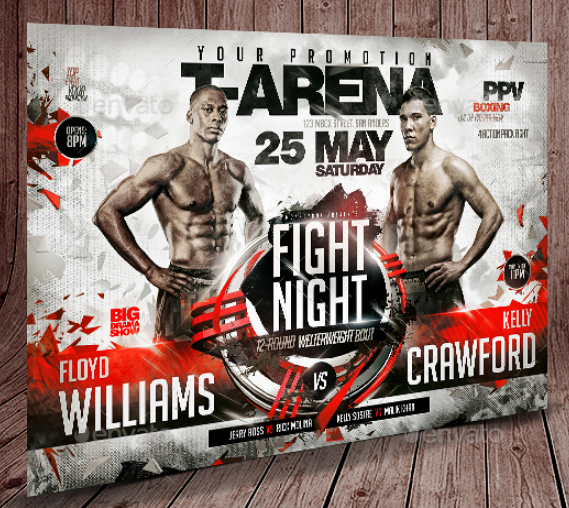 In today’s post, we’ve gathered the best flyer templates for boxing events. 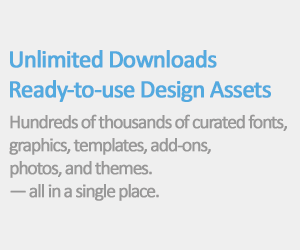 Available in PSD and AI file formats that can be customized in Adobe Photoshop and Illustrator. 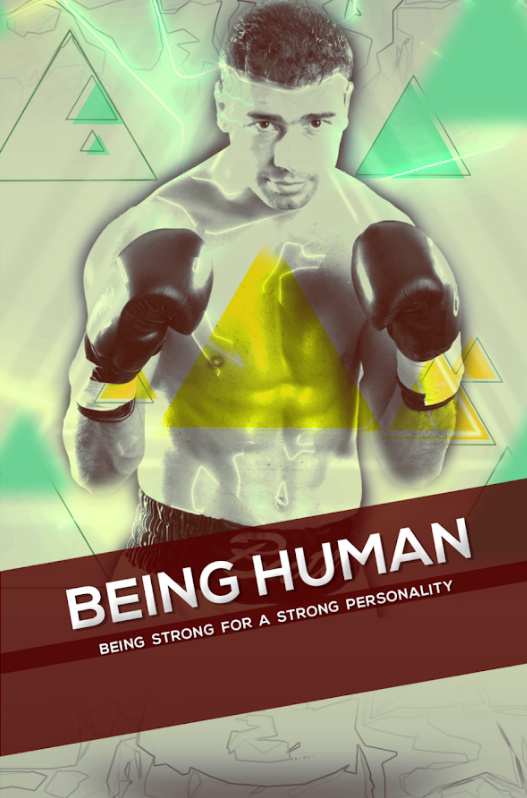 This collection will be constantly updated to include more fresh boxing flyer. 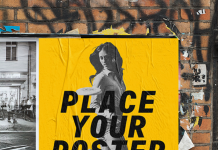 Please don’t be hesitate to tell use another great flyer out there that we missed in this post. 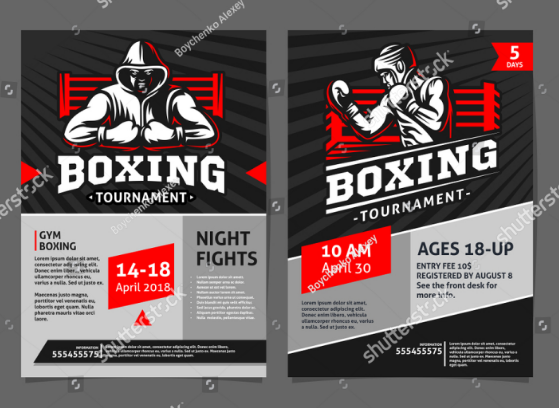 Free black and white boxing flyer template is suitable for any boxing event, it’s well sorted in folders, include amazing effect and customizable. 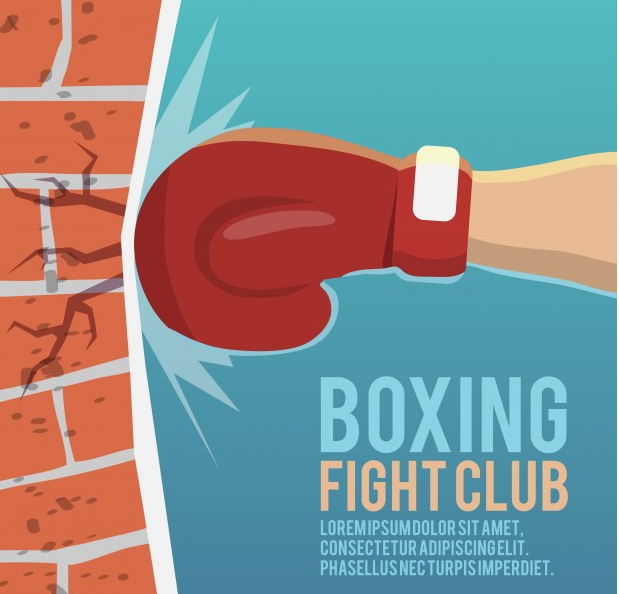 A free boxer coaching poster that you can download in psd file format. 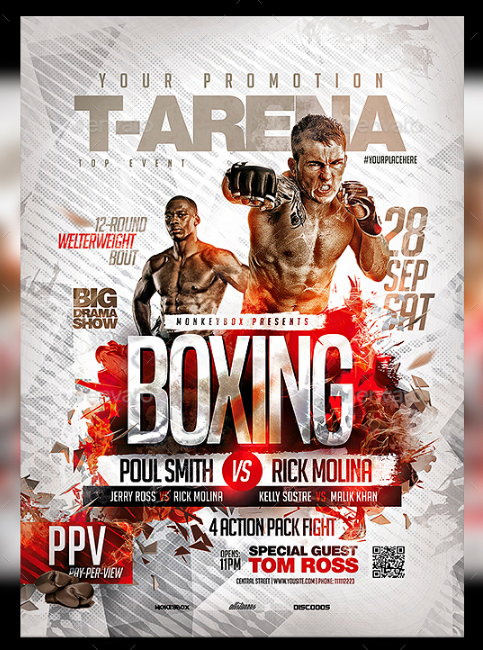 A professional boxing flyer template for big events. 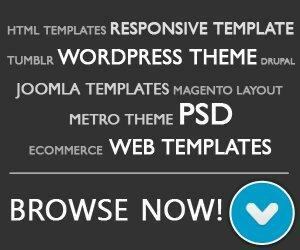 Available in 11.7×8.3 size, high quality graphic and free fonts. 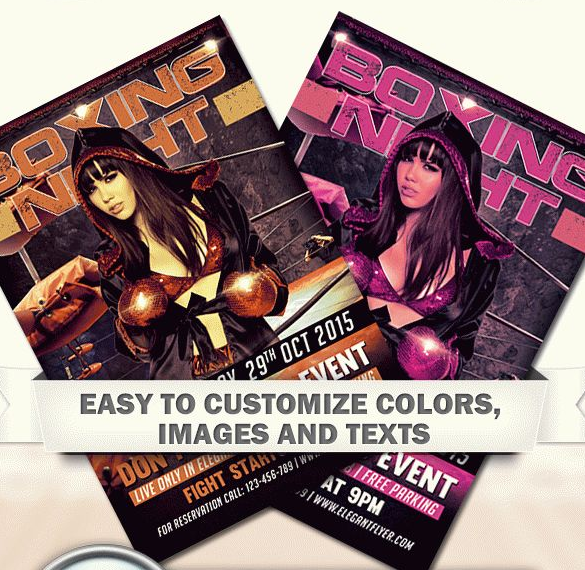 A free Boxing Night Flyer with Beautiful Girl Photo that are ready files for printing. 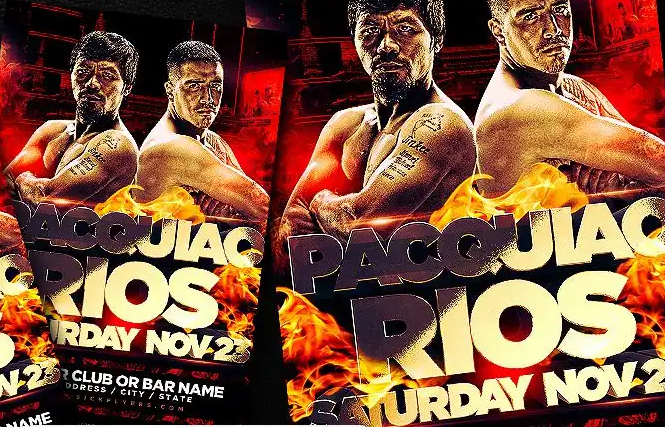 You can change the colors and replace all the elements because after you download it you will have the flyer in PSD format. 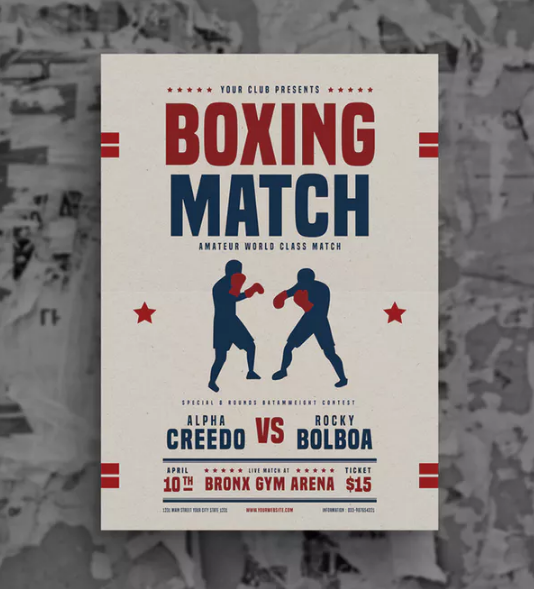 A retro boxing tournament Flyer in AI and PSD template. 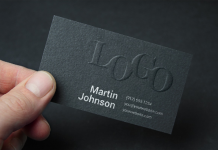 You can print it in A4 paper size, it’s easy to edit and ready to print. 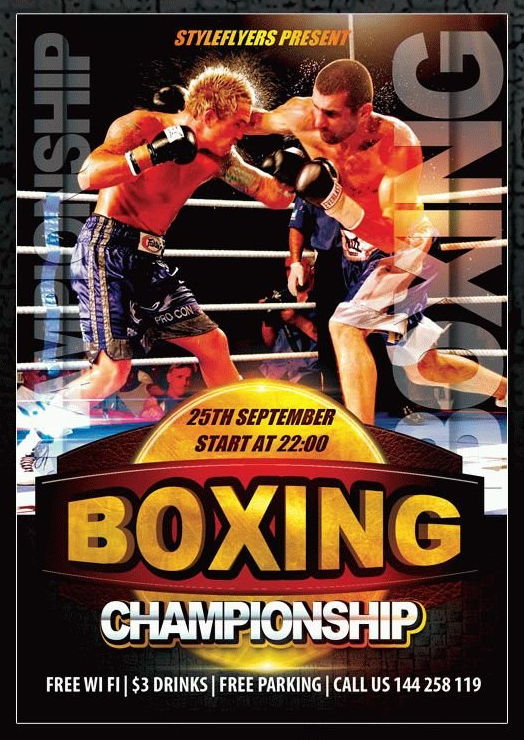 Boxing championship flyer is a great to promote your Boxing competitions. 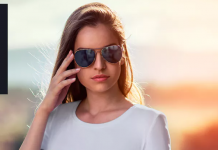 You can change the text and photos. 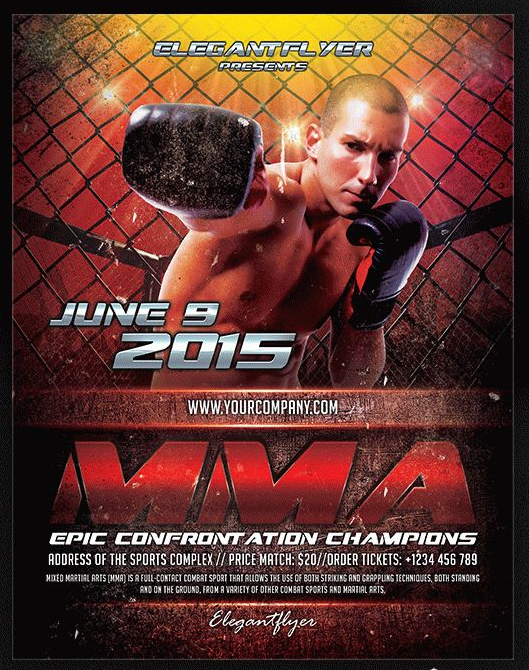 MMA Flyer PSD Template with 2625×3375. 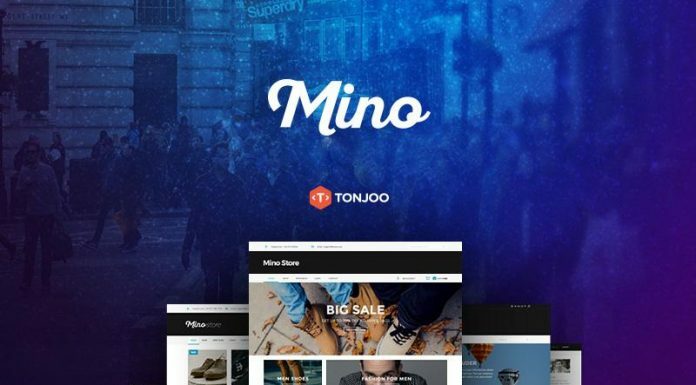 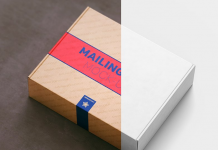 You can easily change texts, content, images, objects and color palette. 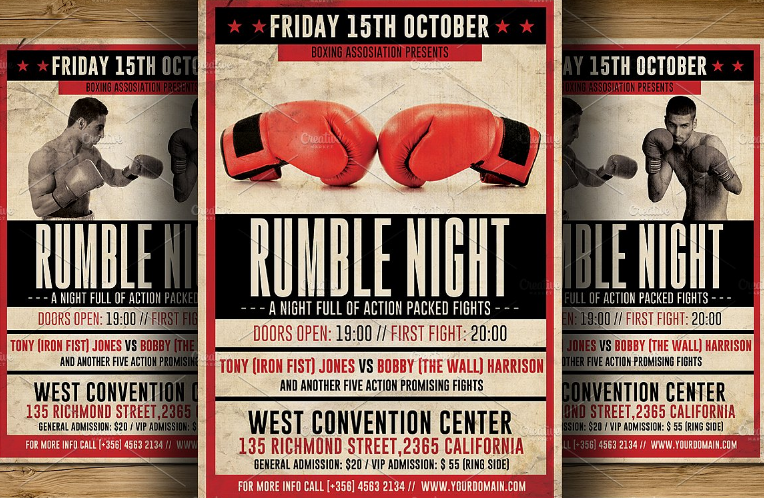 A simple boxing match flyer (AI / PSD) with free font, A4 size and print ready. 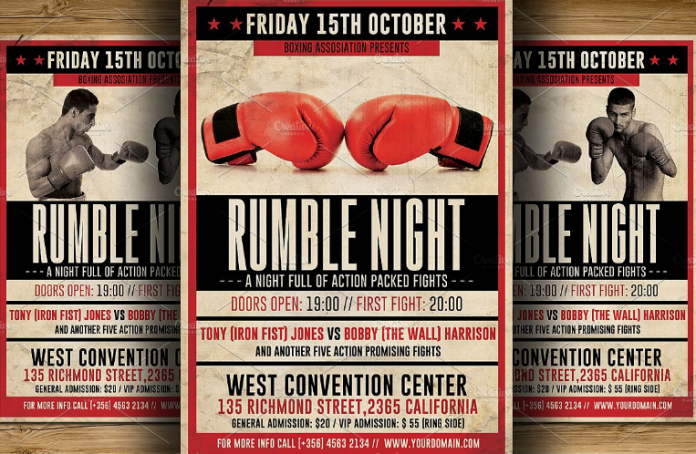 Looking for flyer template design that can attract more peoples to your events, this professional A4 is the best solution that you can use to promote your event. 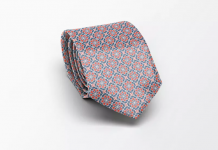 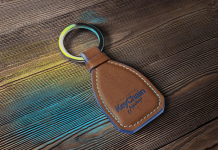 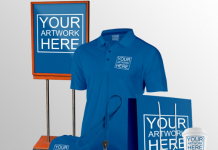 Come with elegant design, fully customizable and print ready. 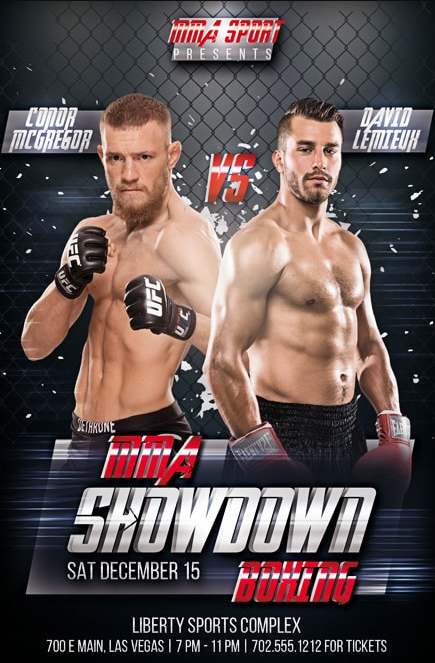 The MMA showdown boxing free flyer template (+facebook cover design) is well-organized, with color coded groups and layers named appropriately. 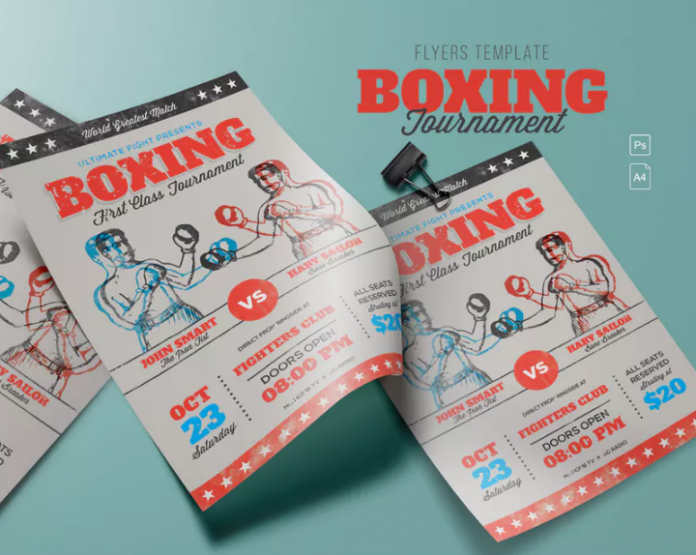 Boxing Flyer/Poster Template is vintage looking psd flyer that will give the perfect promotion for Boxing Match, tournament and other related sport events.